You asked, we delivered! WDDA is pleased to introduce Deaf Communication Cards to help improve the experience of the 2000+ Deaf BSL users accessing services in Dorset. The purpose of the wallet-sized cards is to help identify patients/service users immediately as deaf and that there is a need for communications support. 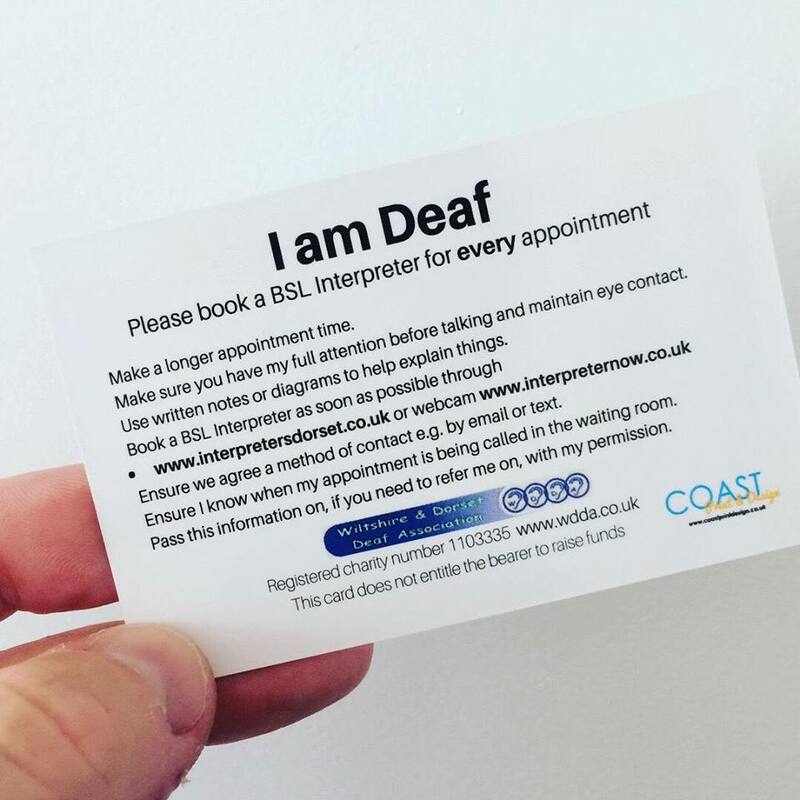 The card also includes details of local BSL interpreter services and a 24 hour contact number so that healthcare providers/service providers know how to book a BSL interpreter. Now that we have the WDDA Deaf Communication Card we want to get them into the hands of every Deaf BSL user in Dorset! We are providing these cards free of charge to all Deaf BSL users so please just get in touch if you would like one. 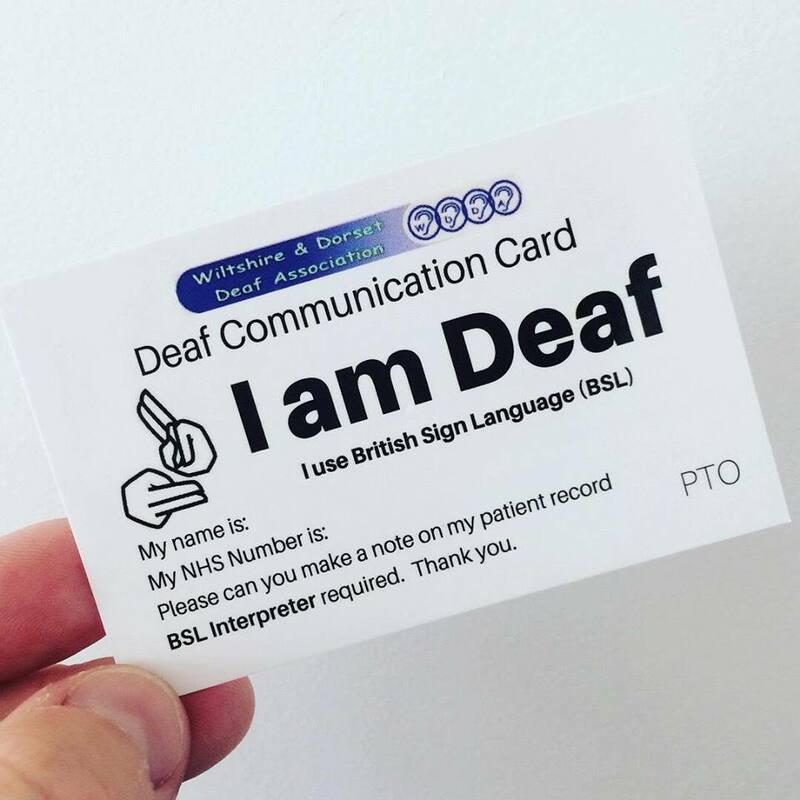 If you are an agency working with Deaf BSL users and would be interested in holding a supply of cards to give to your service users please email admin@wdda.co.uk. We are currently looking at distribution points – local Deaf Clubs, Audiology Departments, Libraries… We’d value your input on this. Please comment below with your suggestions. Coming soon – WDDA Hard of Hearing Communication Cards.